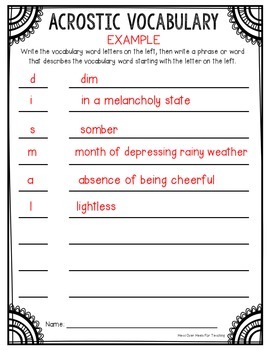 This vocabulary bundle is chock full of resources to get you through the year! This product includes 200 vocabulary word cards, word lists, assessments, hands-on activities, graphic organizers, games, teaching ideas, bulletin board headers, flippables, parent letter, photos/samples, and websites. 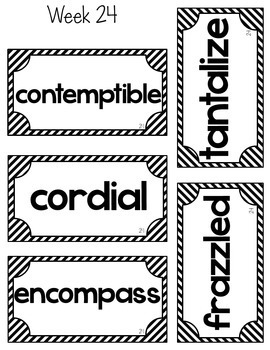 These words are common, higher level words I hand-picked from favorite chapter books that students will use in conversation, in writing, and find frequently in text. I developed this list in the beginning of my teaching career because we didn't have a vocabulary program and the "story of the week" words were not words my students would likely use or see again. 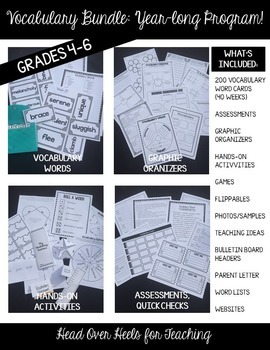 This bundle is sure to engage and interest your students to get excited about learning new vocabulary! 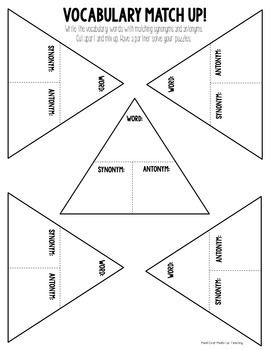 *Activities/resources can be used with ANY vocabulary words. Geared for grades 4-6, but could be used for 3rd and 7th graders as well. *You will be set for the YEAR! *Click the preview to get a closer look at what’s included. Want more teaching ideas, tips, and freebies? Visit my teaching blog!